2005-2008 was an era of unparalleled success in the life of New Zealand Rugby League– an era like no other in the 100 year history of the game. It was an era of unprecedented successes. Successes that saw the Kiwis stand atop the podium in two of the three international finals contested in the timeframe. Victory in the 2005 tri-series of rugby league was followed by a golden point extra time loss in the 2006 series, and climaxed in the raising of the trophy at the 2008 World Cup of Rugby League. And at the forefront of these successes was a unique blend of innovation, systems thinking and legendary leadership. Join the Kiwis’ mercurial captain Ruben Wiki and Performance Coach Craig Lewis in this livelypresentation designed to reveal all the components of leadership that converted the dreams of young men into reality. Together, Ruben and Craig will discuss the strategies that transitioned this team of perennial underachievers into tri-series and World Champions. Learn first-hand the techniques that culminated in the indomitable culture that guided the team to unprecedented victories, and discover the personal approaches responsible for establishing the commitment, loyalty and pride so essential to any high performance environment. 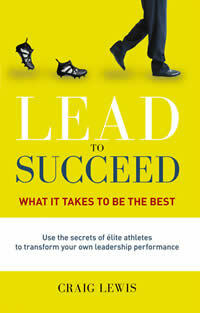 attention the availability in all leading book retailers of Lead to Succeed: What It Takes To Be The Best. Lead to Succeed: What It Takes To Be the Best is for those who lead, or who want to be leaders,exploring the fundamental leadership qualities essential to success in sports and business. With valuable insights and strategies for anyone involved in the promotion of enhanced performance, the book uses emotional intelligence as an underlying premise. It is an inspiring source of new ideas for those striving to be the best, in their personal, professional and sporting lives.